Manchester United’s Wayne Rooney has criticised Roberto Mancini for waving an imaginary card at referee Martin Atkinson during Manchester City’s 1-0 win at Wigan. Mancini, for those of you with the memory of a goldfish, was furious with Rooney for his part in getting Vincent Kompany sent off in the sides’ recent FA Cup encounter. Last night, Mancini was unhappy that Maynor Figueroa only received a yellow card for handling the ball to prevent Sergio Aguero running through on goal from the halfway line. Watching on TV, Rooney was quick to post. “Was Manchini (sic) asking for red card??? ?” he wrote on Twitter. Mancini defended his actions after the final whistle, citing of all people, Rooney. “I did it because Wayne Rooney did it,” Mancini told reporters after the game. “It’s normal with a chance like that to do it. FIFA’s general secretary Jerome Valcke has again called for quick legislative approval of a bill on Brazil’s hosting of the 2014 soccer World Cup. 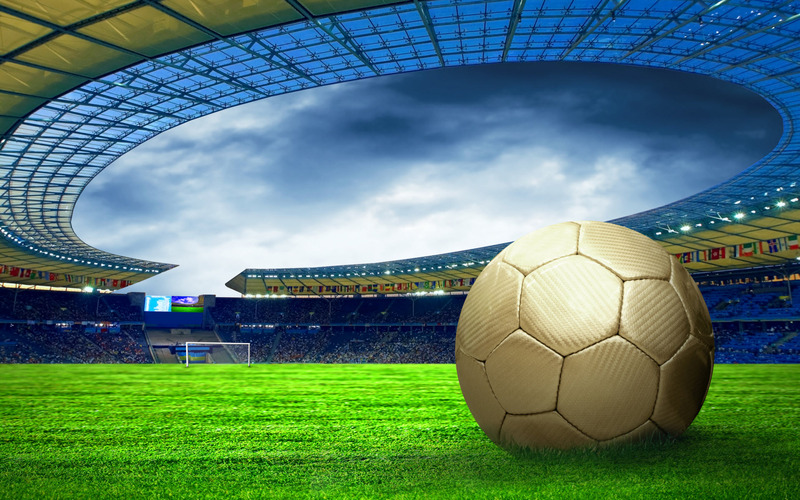 The bill gives FIFA exclusive rights to pictures, sound and other forms of expression linked to the World Cup and imposes penal and financial sanctions for any illegal reproduction. Valcke is to visit stadiums in the north-eastern cities of Fortaleza and Salvador de Bahia—two of the 12 Brazilian cities that will stage World Cup games. He’d like to have visited all 12, but given the state of the infrastructure in Brazil this was never going to be a realistic possibility. Former World Cup winner Romario, who has been an outspoken critic of FIFA’s heavy-handed approach to Brazil, last week said the country will not be “100 percent ready” for the World Cup. “I think that (Brazil) won’t be 100 percent ready. Of the 12 stadiums (that are to stage World Cup events) maybe 10 will be ready,” he warned. Sepp Blatter has voiced his support for UEFA chief Michel Platini, claiming the Frenchman would make a good president of FIFA. Given Blatter’s current unpopularity, his seal of approval is unlikely to to be a vote winner for Platini. “Michel Platini is ready, if he wants. He says ‘I don’t know yet…’ but deep inside, he wants it,” the 75-year-old Blatter told France Football magazine on Tuesday. Fans of Juventus have placed misfiring striker Amuari for sale on eBay. Juventus have tried and failed to sell the Brazilian-born Italian striker, who cost €22.8m when he was bought from Palermo in 2008 and is currently on a £60,000 a week. Unable to find a buyer, an enterprising fan came up with a novel idea, which is sure to be copied by supporters of other clubs in the coming weeks. The item was fetching a price of €10m before it was withdrawn by the online auction house. Here, you can see the original listing. Amauri’s advert included free shipping for the player himself and an estimated delivery of four working days. Unsurprisingly, refunds were not accepted. The winning bid also included a free item – Juve full-back Paolo DeCeglie. As the world turns its attention to Africa and the start, on Saturday, of the 2012 African Nations Cup, a timely piece in today’s Guardian asks whether football in the continent has gone backwards in recent years. 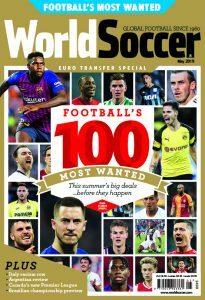 The article, written by World Soccer columnist, Jonathan Wilson, suggests that despite the influx of African players to the higher echelons of European club football, the situation at international level reveals a picture of stagnation. “The myth of Progress is sustained by a conspiracy of the complacent and the self-interested,” writes Wilson. Fenerbahce’s opener in their 2-1 win over Manisaspor came when Caner Erkin played a 1-2 before firing home the opener. Newcastle midfielder Hatem Ben Arfa is to be sued for libel after saying he was press-ganged into joining a sect by French singer Abd al Malik, the rapper’s lawyer said on Tuesday. “A complaint will be filed,” Isabelle Weckstein told Reuters, adding that Al Malik’s manager, Fabien Coste, was also suing the Newcastle United forward. In an interview with L’Equipe on Monday, Ben Arfa spoke about how he was almost lost to football after falling in with a strict religious group. “I was in a bad way, and seeking well-being,” he said. “I read a lot of books about Sufism, and the good things about it attracted me. As Abd Al Malik was interested in it, I contacted him, and I soon got involved. Ultimately, it was Ben Arfa’s ego which prevented him embracing the religion. Palermo coach Bortolo Mutti, has received the dreaded vote of confidence from sack-happy club president Maurizio Zamparini after just three matches in charge. “The supporters can rest assured that I’m not sending him away,” said Zamparini, who has fired two coaches this season, one of whom was sacked after being told just that. Mutti took over from former youth-team coach Devis Mangia, fired in December even though his contract had only just been extended and Zamparini had predicted a long stay for him at the club. Stefano Poli was in charge at the start of the season but did not survive until the start of the Serie A season; elimination from the Europa League qualifiers by Swiss side FC Thun did for him. All things considered, Mutti would be advised not to unpack his suitcase just yet. Thierry Henry has apologised for swearing at an Arsenal fan following his side’s defeat at Swansea on Sunday. The Frenchman, on loan to his former club from New York Red Bulls, was seen arguing with a supporter following the 3-2 loss at the Liberty Stadium. “I was really shocked and disappointed on Sunday, and not just at the result,” Henry told The Sun . “After the final whistle of a very tricky game, I insisted the whole team go and applaud the Arsenal supporters. “When I arrived in front of our own fans, I couldn’t understand the abuse the team were getting from one of them. I wanted to tell the fan in question that we need their support not abuse. The sentiment was right but in hindsight could have been better expressed. When the legs finally do go, there’s a job waiting for Henry in Arsenal’s PR department. Today marks the 30th anniversary of the death of one of football’s most divisive and possibly misunderstood coaches. Derided by some as the architect of ‘anti-football’ Argentinian Osvaldo Zubeldía died on January 17th, 1982, at the age of 54. He is best remembered for his stewardship of Estudiantes and in particular a couple of eventful Intercontinental matches against Manchester United and Milan in the late 1960s. Estudiantes’ victory over European champions United in 1968 was a rough match – although the violence was certainly not all one way – culminating in United’s George Best and Estudiantes’ José Hugo Medina being sent off. However, that match was a mere appetiser for the following year’s final in which Milan were subjected to 90-minutes of almost continuous assault by their opponents. So brutal were the home side in the second leg in Buenos Aires that the entire team was arrested on orders from Argentine President Juan Carlos Onganía. Moreover, goalkeeper Alberto Poletti was suspended for life (he was later pardoned) and spent time in jail, together with teammates Ramón Aguirre Suárez and Raúl Madero. Here are the ‘highlights’ from that battle. The anniversary of Zubeldía’s death has been marked by an interesting piece by Juan Arango who offers a balanced appraisal of a coach who was not only highly successful, but also hugely influential.